Get glam with a sample of the season’s hottest hues! 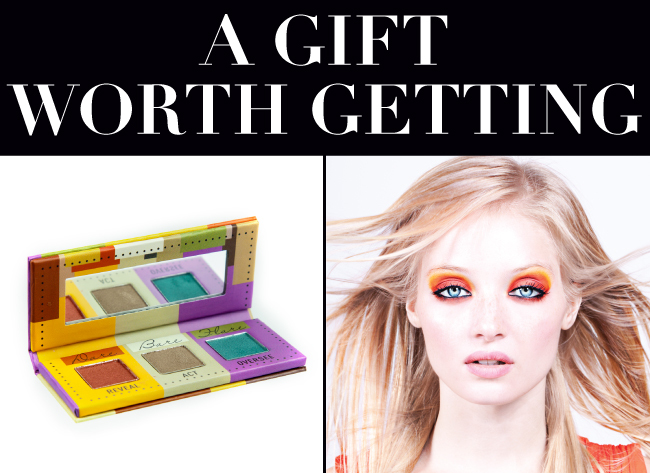 Throughout July, we’ll be sending complimentary mini eye shadow palettes with all purchases over $30. The mini palette features one color from each of our best selling eye shadow palettes, Bare, Dare and Flare. Reveal (Dare palette): A deep rust shade with a pearl finish. Great for contouring the eye as an alternative to brown. Also makes a unique smoky eye. Act (Bare palette): A neutral, medium brown tint. Great for everyday use for all skin tones. Oversee (Flare palette): A subtle ocean blue with a gold pearl. We always want to provide promotions that help you market Sigma and generate affiliate sales. This is an AMAZING free gift and incredible value. It will only be available throughout July, so make sure to share the news with your followers! What a great gift,I love the colors!! Thank you! The colors are gorgeous! this is cool, you're awesome. Wooow that looks so beautiful!! wow this is a good one!!!! :) It's definitely a good month to purchase! :) It's a gorgeous mini palette and a great value! Are you bringing back the blending brush as a free gift again? That was the best. We will be rotating free gifts each month! We will definitely keep you updated each time we have a new gift! the mini palette is so cute :) definitely worth getting and the model looks like a doll. We're happy you like it! Thanks for visiting the blog! Great gift option! I love the little palette! Check out my blog's post!!! This is great! :) Shared this on my blog as well. I am planning to order a polishing tool today. Will i still be eligible to receive the free eye shadow gift? All orders placed through July 31st will receive the mini eye shadow!